Clients that really "get it"
This week I had two amazing client meetings. What makes a great meeting for me? Working with school leaders that totally "get it". Most principals or school superintendents didn't go to school for marketing. Their education and career focus for the most part has been or is in education...and rightly so. Marketing and branding isn't their expertise and quite frankly education isn't mine. But that's what makes a relationship like the ones I have with my clients so great; symbiosis! I've become savvier over the years. In a needs assessment, I know just the right questions to ask now, and I also know what's not worth lingering on about. Back in the old days, during my time at Scholastic Inc, I worked to make sure the technology and corporate folks could understand one another. The internet was still pretty new for most companies and young people like me with a traditional background and technical acumen, became "interpreters". It could be a bit daunting sometimes but for the most part I felt a sense of accomplishment because I knew just how important and instrumental it was for me to help bring the company into the "zeros" (21st century) and beyond. 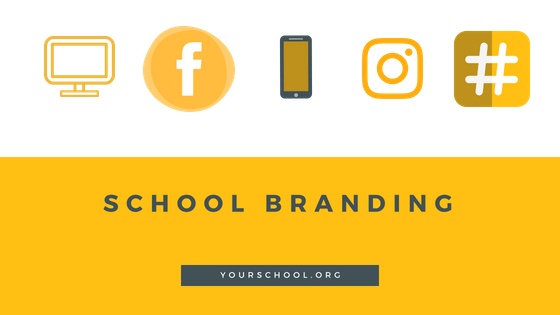 Now that most of my clients are public schools in underserved areas, this desire to update and elevate school brands, couldn't be stronger. What helps? Working with leaders that already see the writing on the wall...or laptop...or smartphone. They have a ton of catching up to do as an industry, and thought leaders in our public schools are taking the charge in making sure their schools (and scholars) don't fall behind.